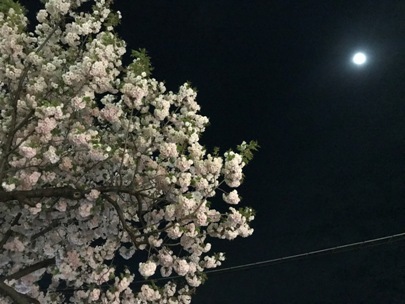 The another clone cherry blossoms near my house are in full bloom. I felt good fruits, fine citrus and very deep minerals. Also, I found a very slight salty taste. 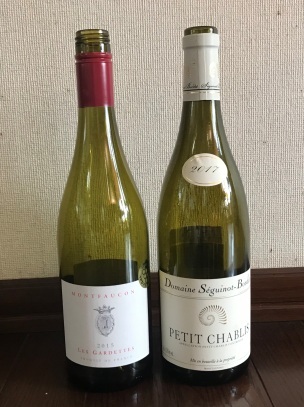 You couldn't find such traditional taste Chablis recently in Japan, I think. I want to recommend this one. It is made from Cinsault, Mourvedle, Grenache, Syrah and Carignan grown in South Cotes du Rhone by the natural farming. I felt charming red & black fruits, silky tannin and comfortable after taste. It is the lowest price wine in the winery but the quality is very high.